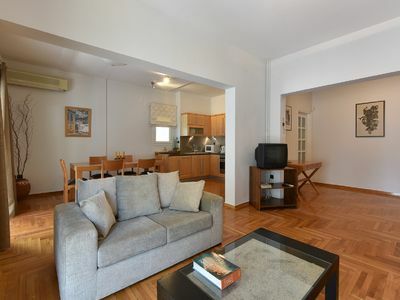 Elena’s residence is a ground floor apartment of 117 sq which can comfortably host 4 to 5 people (couples or families). 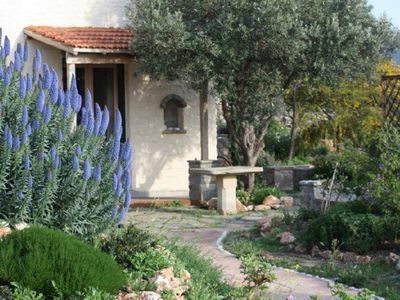 The property is surrounded by a lush Mediterranean garden with trees, flowers, aromatic herbs, fruit and vegetables. 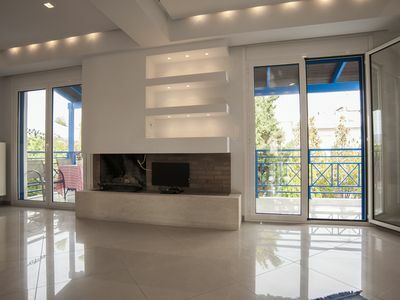 There are external sitting areas with elegant outdoor furniture for dining and relaxing both in the front and at the back of the apartment where guests can enjoy the view of the garden & the sunny atmosphere of Greece. The courtyard and the garden are surrounded by a stonewall. The apartment consists of a spacious living room with dining area, a kitchen, two (2) bedrooms and two (2) bathrooms. It is suitable for families and at the same time it is accessible to both elderly and disabled people. Guests enter Elena’s residence through a safety door and find themselves into a neoclassical living room. The wooden floor creates a warm atmosphere which is completed with a cozy fireplace. There is also a flat TV screen and a sofa that can be easily transformed into a single bed. Next to the living room there is a formal dining area with a dining table comfortably seating six (6) guests. The spacious kitchen is fully equipped with all necessary cooking facilities including a dishwasher. 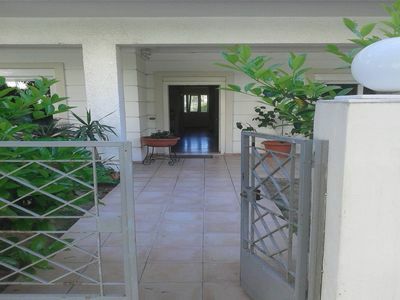 Next to the kitchen and at the back of the apartment, there is a spacious shaded porch with ceiling fan and garden furniture. The two (2) bedrooms have double beds, big closets and verandas. Finally, there are one bathroom with toilet & bathtub and one bathroom with toilet (WC). All necessary amenities are provided including a washing machine. 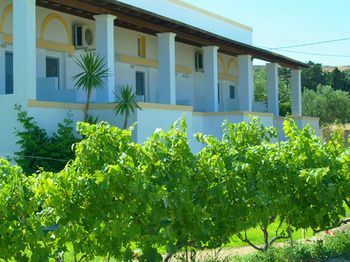 All rooms have air-conditioning and autonomous heating system creating a pleasant environment. Other facilities provided are WiFi internet, electric windows, alarm & parking for two (2) cars. Cleaning service and change of linen is arranged upon request with an extra charge. A cook is available to prepare your meals upon request with an extra charge. 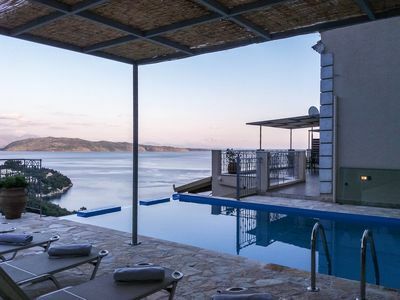 Because of its excellent location "Elena’s residence" provides easy access to the center of Athens as well as to Piraeus port and the south suburbs of Athens. 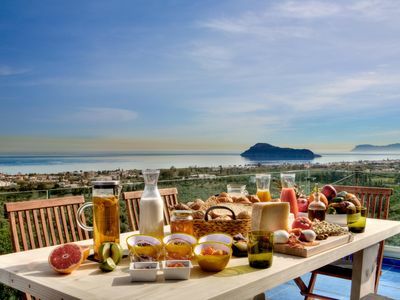 There are plenty of historical monuments, natural attractions, adventurous and entertainment activities to do & places to eat and drink in the nearby areas.